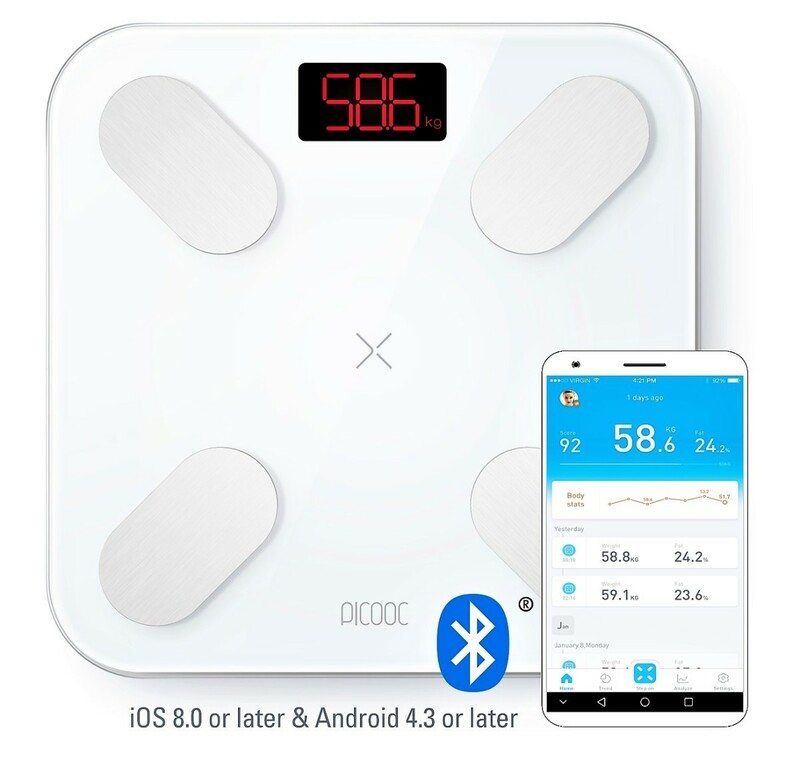 Picooc's Mini Pro Smart Body Fat Scale ($59.99) is an advanced Bluetooth scale that can track up to 13 different body measurements via the Picooc app (available in the Google Play & App Store). 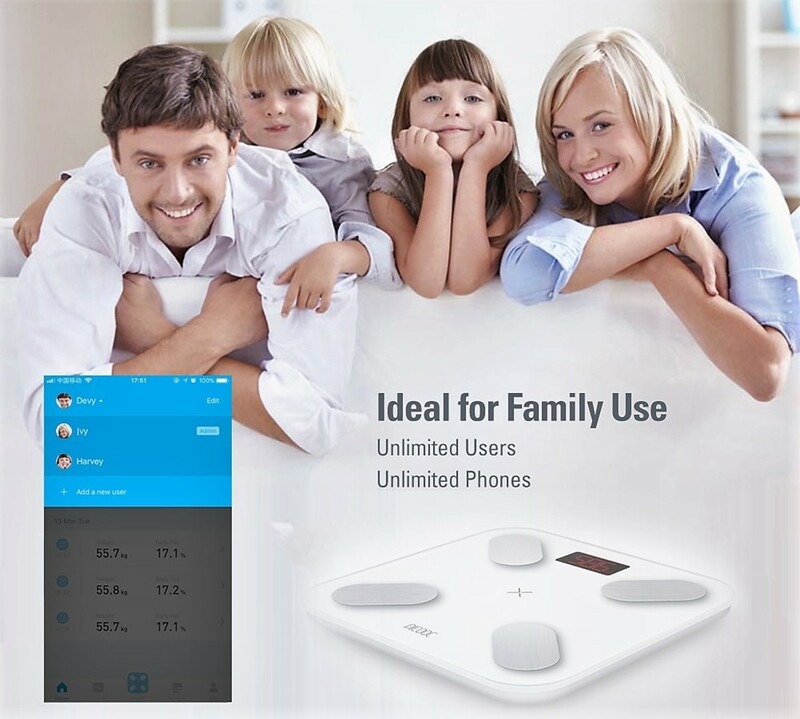 The smart scale comes in two versions; Mini Pro for smaller individuals and Big Pro for larger ones. 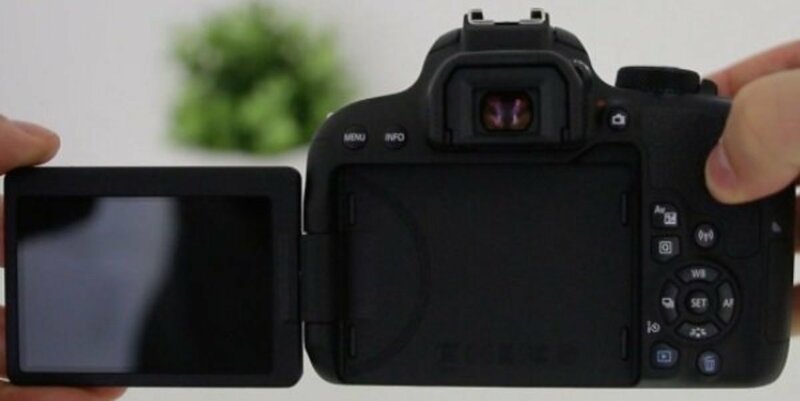 The two scales vary in pricing, size, and strength of the tempered glass. 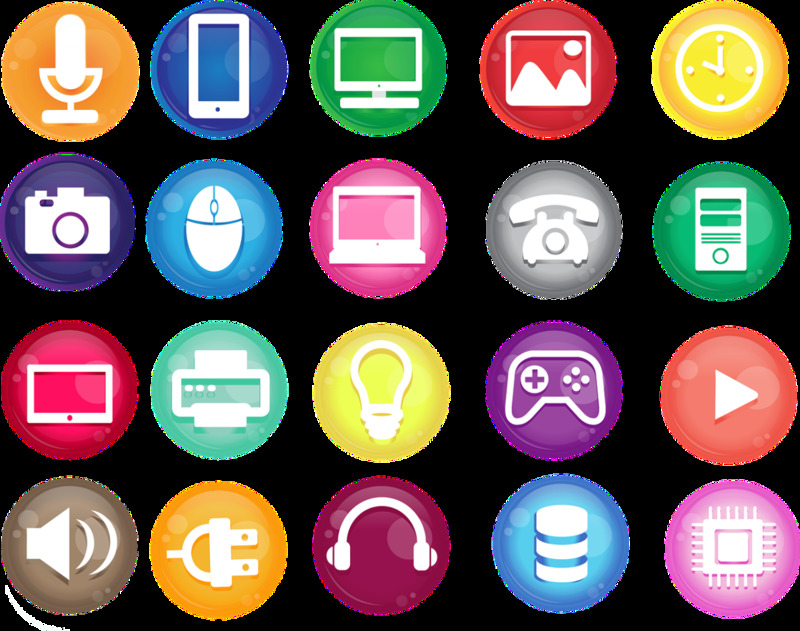 Everything else including the app, measurements, and other features remain the same. 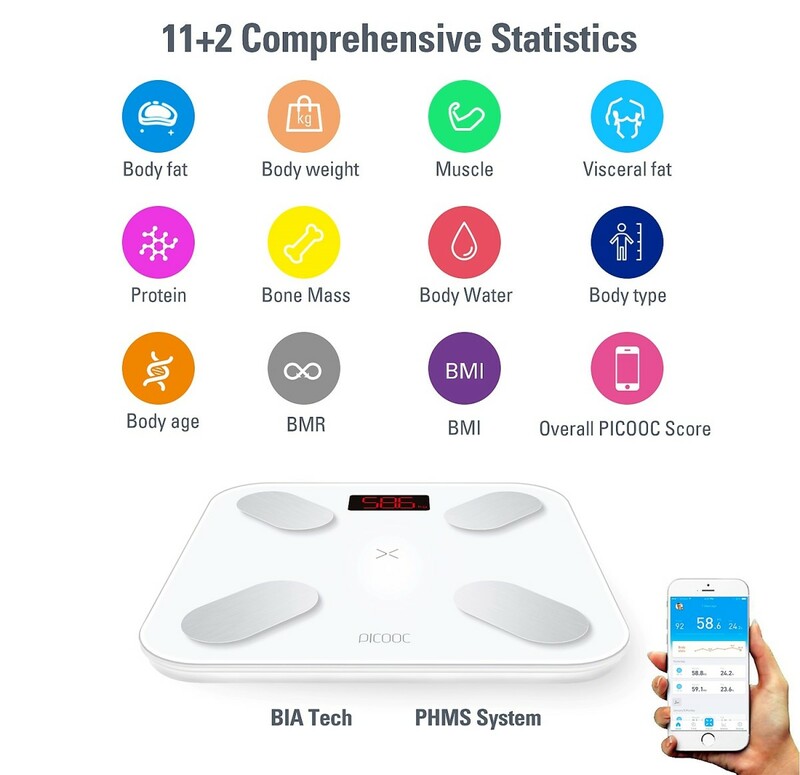 The fat scale uses a combination of bio-electrical impedance analysis tech and the Picooc Health Data Platform (developed by Chicago University researchers) to obtain exact body scores and statistics. 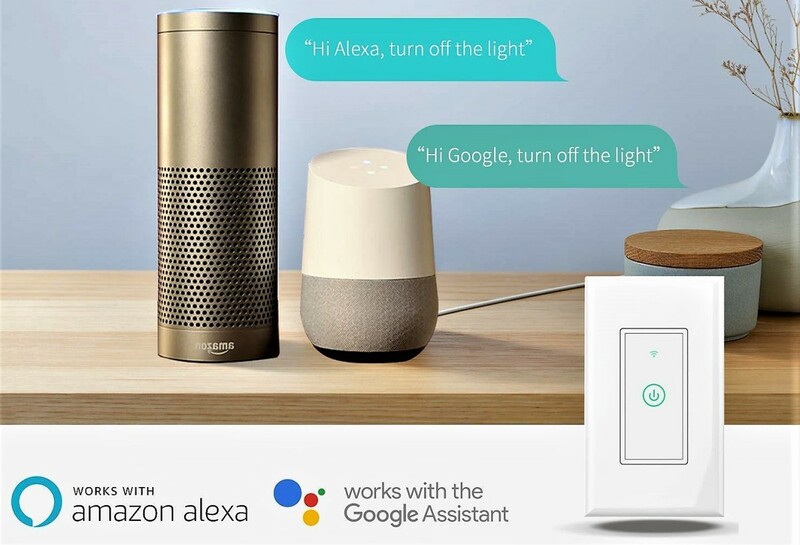 The product also includes step-on auto recognition technology, and it comes in a classic white look with a bright LED display for day and night viewing. This is truly one of the smartest products on the market, and it's excellent for those who are serious about their health. Picooc's health data systems are able to accurately track up to 13 different body measurements including ones you've never thought about. Body weight is your total body mass or weight aka the first thing you see when you step on the scale. Your weight can be shown in kilograms or pounds and may be changed in the app settings. Picooc knows people care about their weight the most, which is why it's the primary number shown when you open the app. The app's dashboard will tell you the date you weighed yourself, what it means, and a graph of weight fluctuations over time. Perhaps the second most important number to people that also shows up on your dashboard. Your body fat percentage is the total mass of fat divided by body mass. High body fat will increase your chances of getting diabetes, cardiovascular disease, and other ailments. The app provides additional details about your statistics including a chart of what someone of your gender, age, height and current weight should be. Your muscle mass is the weight of muscles in your body, and it's directly related to your body fat percentage and BMR (basal metabolic rate). The greater the muscle percentage, the more calories you burn at rest. Muscle mass refers to smooth and skeletal muscles, which consist of water and protein. Skeletal muscles are striated muscle tissues attached to bones, and they are responsible for contracting and relaxing when you're moving. These muscles can be strengthened through weight training and can increase your speed and strength. Visceral fat is the fat that sits near your stomach and wraps around major organs like your liver, pancreas, and kidneys. Visceral fat has been touted as the most dangerous kind of fat because it can lead to cardiovascular disease, type II diabetes, and even breast cancer for women. BMR varies considerably by gender, age, height, muscle mass, and current weight. Your body water is the amount of liquids in the body expressed as a percentage of total weight. Sufficient water content allows for proper body maintenance and can dictate things like your BMR. Water levels can change considerably throughout the day due to fluid loss from sweating, urine, and breathing. Adequate water intake is necessary to maintain normal levels. The predicated mass of protein expressed as a percentage of total weight. An extremely essential part of your body that's involved in most cell processes. The weight of bone mineral in your body. Inadequate bone mass can lead to arthritis and other bone-related issues as you get older. Weight training and a calcium-rich diet can help maintain your bone mass after age 30. How your BMR compares to the average people in the your age group. A lower metabolic age indicates an active metabolism while a lower age says the opposite. Improvements to your BMR can help decrease your biological age. The body mass index is your weight + body size (height). The most common indicator of underweight, normal, overweight or obese persons. Your BMI does not take into account your muscle and body fat percentage thus making it less useful than other indices. This chart places you into several body shape categories ranging from normal to very muscular to underweight. Where you place on the chart will depend on your muscle mass and fat percentage. Overall body score out of 10. The higher the score, the healthier your body is. Before you add in your information, give the scale a test run to make sure it's working properly. To get even more precise measurements, download the Picooc app and input your personal information before weighing-in. Not everyone should use this scale. If you're pregnant, under 13 or have an implanted medical device like a pacemaker, then do not use this body scale. Furthermore, athletes, specially-abled people, and people who suffer from physical conditions that affect hydration levels may receive inaccurate readings. Finally, please be aware of the scale's weight/foot size limitations (listed in table). The Picooc app can be downloaded from the Google Play or App Store and is the go to place to get in-depth information about your body. Once you download it, create an account and input your personal information including age, gender, height, current weight, body circumference (optional), and race/ethnicity. The more you include, the more precise the results will be. After you've done this, prepare for your first weigh-in by clicking on the "Weigh" button (phone's Bluetooth settings must be on). Then step on the scale and don't get off until the weight syncs with your app. Now you can view your info from the app's dashboard. You can click the arrow to see complete body measurements, which will be grouped into the alarm, warning, and normal categories. Click on the arrows next to each stat to get more in-depth knowledge. Definitely check out the help center if you need more information on how to use any of these other features. Personal settings including profile, body circumference, and weight goal can be changed for individual users. There's a lot of things that this product can do, and below are just a few of the reasons why you should give this smart scale a try. The product's biggest talking point is its app because you can access all your data, graphs, and trends from it. It's also just a really good app with a minimalist and user-friendly design that fits the Picooc style. When people hear "smart" anything they immediately think that it'll be too challenging, but that's not the case here. The 6mm tempered glass looks great, the non-slip pads prevent sliding, it's sleek and compact, and the white color makes it perfect for any room. The body is made of strong ABS material that survived a 1.5 meter drop test, and it holds the inner components nicely. My Picooc scale is placed in my bathroom and it blends in flawlessly. Most scales only measure things like body weight or fat percentage, but this scale dives into the more critical measurements. The 13 figures provide a fantastic analysis of how your body is functioning and what you'll need to do to improve it. You can even download your stats and show them off. 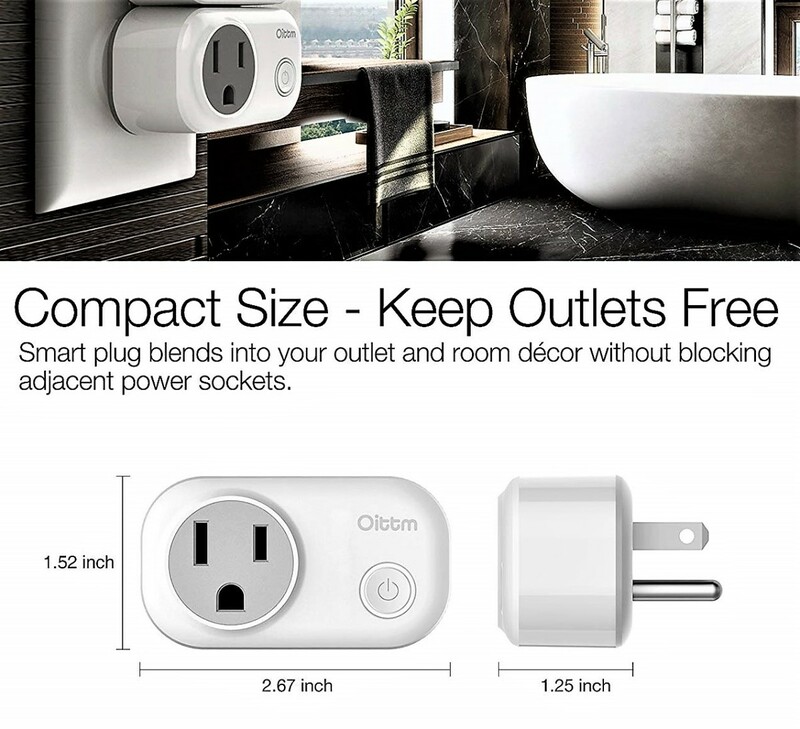 Picooc's algorithms are constantly making adjustments, and as a smart scale company, they're one step above everyone else. The scale use step-on technology and auto recognition to identify who is stepping on the body scale, and it can work with an unlimited number of people. 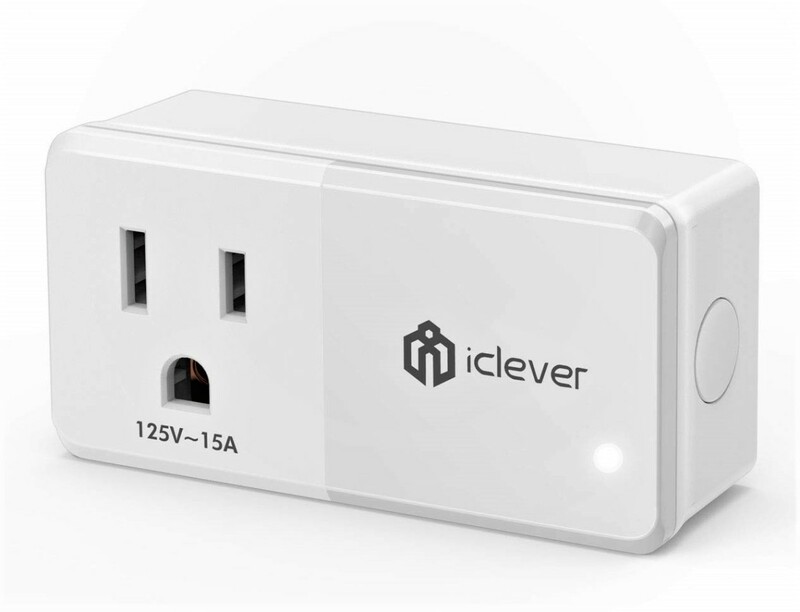 I love that this product is geared towards multiple users because it's likely you'll be sharing the scale with other family members or friends. The ability to create additional user profiles on the app is also a nice touch because it removes the need for multiple app downloads. Your measurements can sync with Google Fit, Apple Health, or Samsung Health to maximize their effectiveness. The data syncing is handy when combining with other health aspects like caloric intake and exercise because it'll up the accuracy of all your data sets. It can also be beneficial if you're talking to your doctor about starting a weight loss program. The analysis tech is the key reason why this scale works so well. The scale has four precision sensors and four electrodes that obtain body readings when you step on the scale. 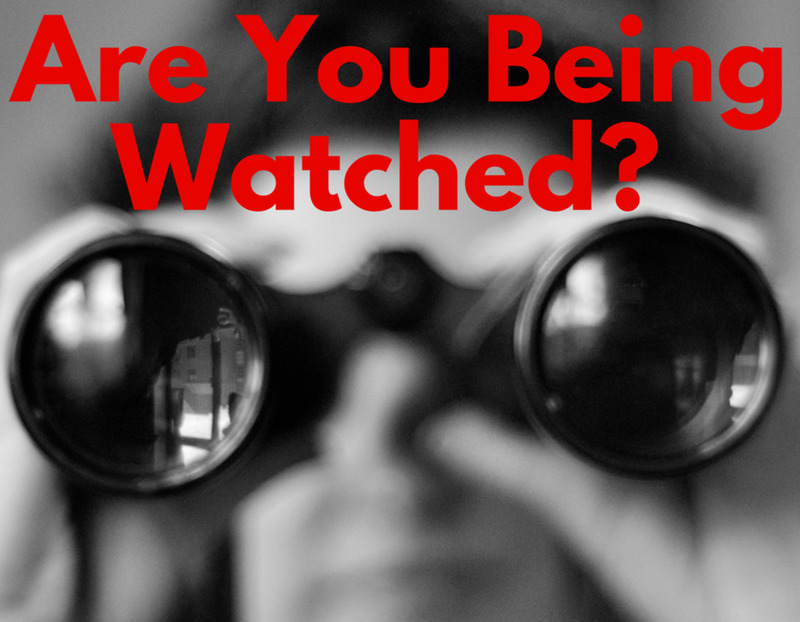 They send a harmless electrical signal throughout your body that configures critical body readings. Those readings are then integrated with data sets and algorithms that determine your health stats versus the norm. It's a complex process that's imperative if you want more error-free results. If smart scales give out so much beneficial data, then why don't more people use them? Most people are not willing to shell out that much money for a body scale, in fact, most of us run away from them. But don't fret...as the need for health data continues to grow, it's likely that even regular, less expensive scales will have standard smart features. I don't see the Picooc scale having this problem, but other smart scales usually don't fare as well. Because smart scales tend to focus more on smarts, data and AI, they forget to fortify the actual scale so that it doesn't get damaged. And you know what's worse than an expensive smart scale, an expensive smart scale that burns out from a few drops or splashes. Advanced scales are packed with intelligent features, but what's to say that they're accurate. We assume product companies use super-smart algorithms and data collecting tools to give us the best results, but it's still tricky to get pinpoint body measurements outside of body weight and BMI. Bluetooth scales are less mechanical than regular ones, which means people who are pregnant, have implanted devices, are athletes, and are under 13 won't get the most desirable stats. In fact, smart scale companies recommend that people in those groups shouldn't use Bluetooth scales. That seems unfair because it would really cut a lot of people out. To me it feels like a serious flaw. For some people, stepping on a regular body scale is a nightmare, so why on earth would they subject themselves to rigorous body measurements. As good as having all this health data seems, there's a large subset of people that could suffer psychologically from it. I know I wasn't very happy viewing my 13 statistical measurements, but I also don't suffer with an eating disorder or other psychological illness that a lot of people have. I'm a huge fan of data, stats, and numbers, so I was thrilled to view 13 data points with the Picooc body scale and maybe you will be too. I would give the Picooc Mini Pro Body Fat Scale 4.5 out of 5 stars. The app was excellent, the amount of information was eye opening, the scale looked great, and it included tons of features like Google Fit data syncing that I enjoyed. On the downside, I don't know how accurate the numbers really are. I appreciate how much research, time, and effort went into developing this product, but I'm not sure how precise my figures are. Still, I appreciate everything the company did to ensure the most state of the art numbers. Additionally, not everyone can use this scale, and I myself would probably be better off with the Big Pro version (greater than US 10.5 foot size), but they do inform you about that going in. Overall I would recommend that you try this smart scale particularly if you're concerned about your health. You can't get this much data anywhere else, and it can come in handy on your weight loss journey. Is it pricey, yes, but if you care about your health then it's worth investing in. The Picooc Mini/Big Pro Body Fat Scale is the future of body scales, and I'm thrilled to be a part of it. 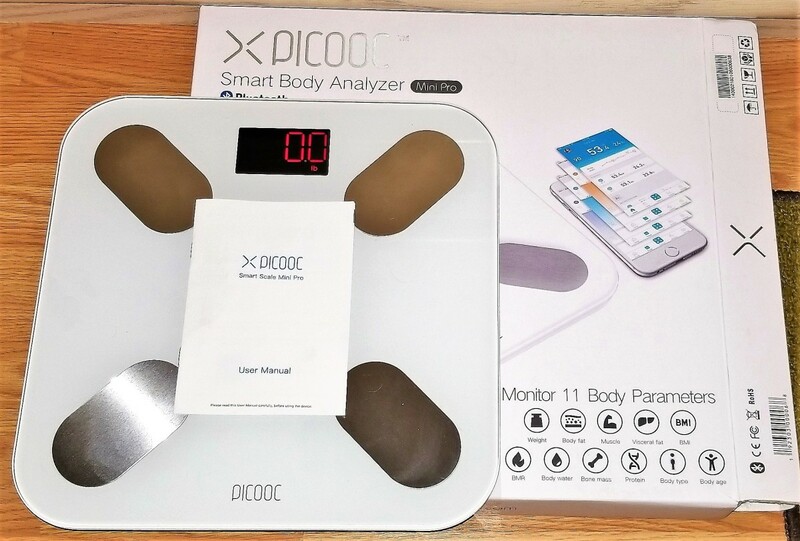 Would you try the Picooc Smart Body Fat Scale? Can the Picooc scale show pounds instead of kilograms? Yes, it can. On the Picooc app, go to your profile (will say ME), click settings, tap on units, and you can change the weight/height units from kg to lb or ft to cm. After you've changed the settings, wait at least 5 minutes and weigh-in with the app (middle "weigh" button). Make sure your phone's Bluetooth settings are turned on. 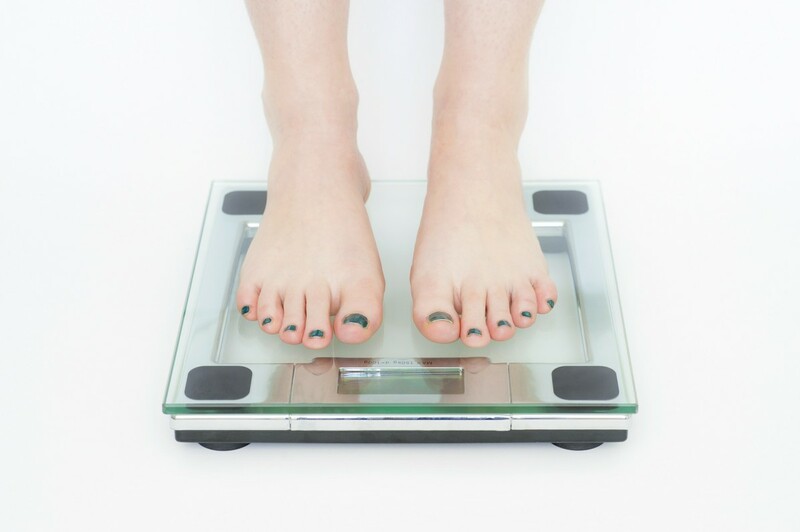 If you do this correctly, then your weight should show up in pounds rather than kilos. Why is the PICOOC scale not recommended for athletes, and would the Big Pro work for a size 17 shoe? Due to the body makeup of an athlete, the results may not be as accurate as for non-athletes on one or more body scale measurements, however, I don't think it should deter athletes from trying it. The inaccuracies are much greater for those who have medical devices implanted or for pregnant women. The Big Pro doesn't support shoe sizes greater than a US 13 or EU 12. You can get away with their recommended max if you're 1-2 sizes above but a size 17 would be far too large for the Big Pro because your feet wouldn't fully fit on the four corner sensors. Thank you for your kind response. This is one of my favorite products that I've had the chance to review. I hope it helps a lot of people out. I am totally getting this! I’m not even waiting for Christmas to ask for it. Awesome product review. Sometimes you don’t know you need something until an article like this!